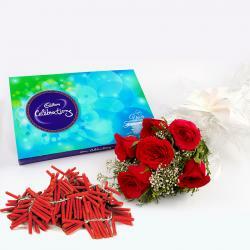 Product Consist : Bouquet of 10 Mix Yellow and Orange Gerberas with Box of Assorted Sweet (Weight : 500 Gms) Along with Assorted Fire crackers (Worth Rs.300/-) (Note: Types of Fire Cracker are depends upon their availability no specific choice). 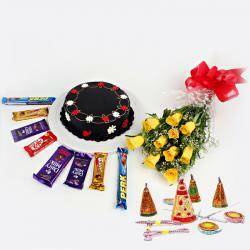 On the Festival of diwali treat your friends and family with this amazing gift pack. 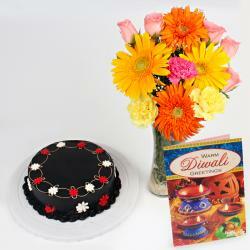 It has a 500 gm of assorted sweets packed in a sweet box with bouquet of 10 gerberas and Mix Diwali crackers . 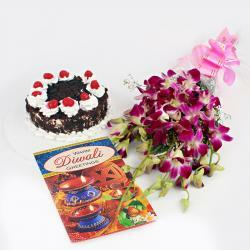 The sweets are divided well and packed in a box with a beautiful gift packing sweets are made from pure Desi-ghee which is fresh and are of good quality.A bouquet of gerberas comes in yellow and orange color it is fresh and decorated properly with ribbon. Different varieties of crackers packed separately. This combo will bring smiles on their face and they will enjoy it. 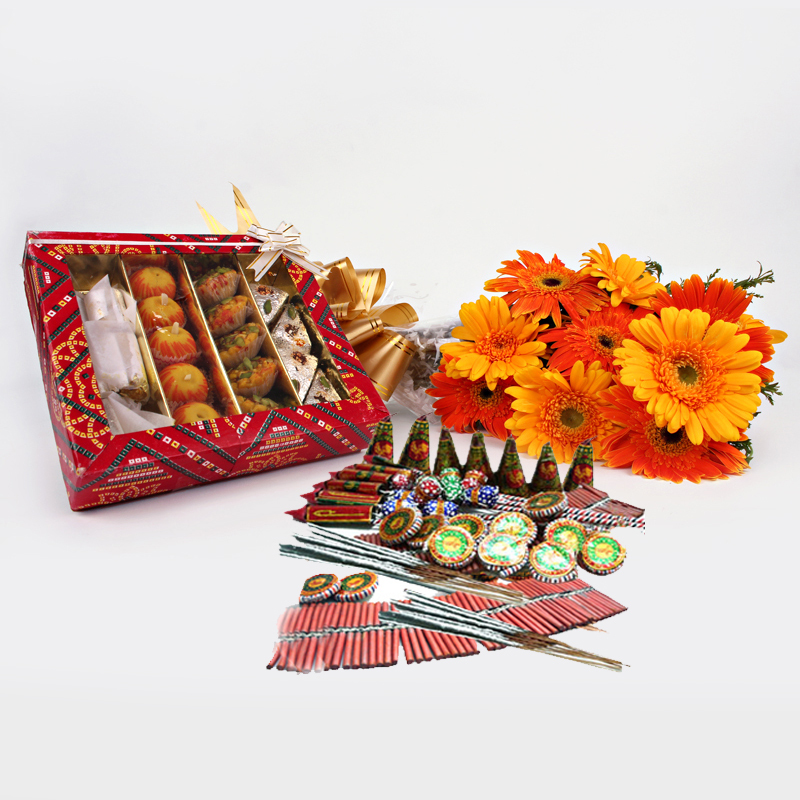 Product Includes : Bouquet of 10 Mix Yellow and Orange Gerberas with Box of Assorted Sweet (Weight : 500 Gms) Along with Assorted Fire crackers (Worth Rs.300/-) (Note: Types of Fire Cracker are depends upon their availability no specific choice).